The historic centre of Malaga is a delight. Its Gothic cathedral is surrounded by narrow streets lined with traditional and modern bars, and shops that range from unique family owned shops to modern and contemporary stores. If you’re an art lover you can visit Picasso’s birthplace and visit the Picasso Museum, full of exclusive paintings and exhibitions. Malaga is brimming with museums, including the Interactive Museum of Music, which has one of the largest collections of musical instruments in Europe. The city’s skyline reflects the city’s eclectic character; church spires jostle for space with russet-red tiled roofs and lofty apartment buildings, while the 11th-century Gibralfaro Castle provides stunning views of the whole city. 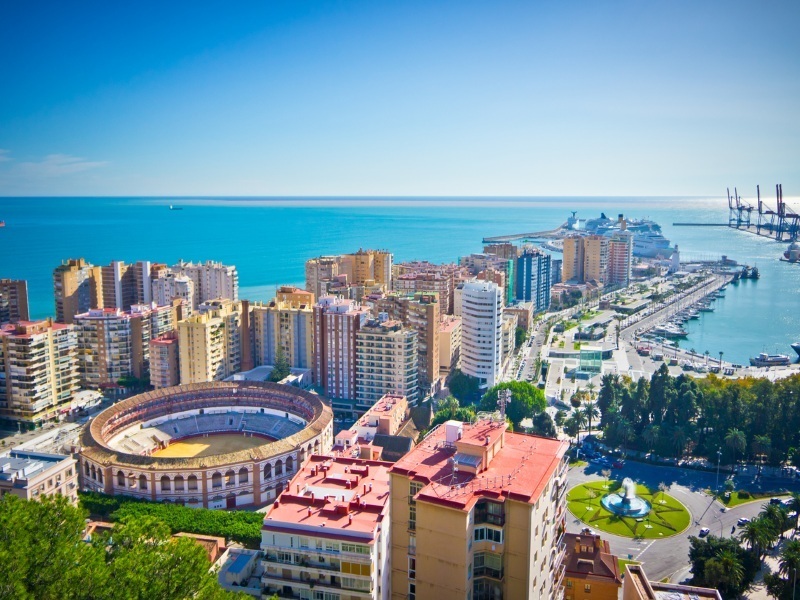 Malaga is a sunlit paradise with miles and miles of enchanting shoreline, mesmerising scenery and pristine beaches making this the perfect short break destination. This short break is based on the 3* Hilton Garden Inn Malaga, however, to see the full selection of hotels CLICK HERE and create your own perfect Spanish break. Prices based on 2 people sharing a double or twin room, based on 04/06/19 from Edinburgh, from £265pp, and 11/07/19 from Aberdeen, from £365pp, and correct as of 04/04/19. Availability until October 2019. Prices may vary, depending on your choice of hotel and departure dates, and are subject to availability.